It has been a long time coming, but The Bureau: XCOM Declassified is now out for Xbox 360, Playstation 3, and PC in North America. The game will launch internationally on the 23rd. Originally entitled XCOM, 2K Marin’s title started off as a first person shooter before transitioning to the third person tactical shooter it is today. Check out a launch trailer below. Set in 1962 at the height of the Cold War, The Bureau tells the origin story of the clandestine XCOM organization, the covert war it led against a mysterious enemy, and its efforts to erase the truth about the alien threat. As a third-person tactical shooter, The Bureau delivers a new experience using the classic XCOM formula by taking players out of the familiar god-like view of strategy games and dropping them into the boots of a battlefield commander in the thick of combat. Players assume control of special agent William Carter, and command their squad mates using an innate “Battle Focus” ability to develop and execute calculated, tactical plans in real-time. As our last line of defense, the player’s every command can mean the difference between life and death for Carter, his squad and mankind. The Bureau: XCOM Declassified is rated M for Mature by the ESRB and is available now for Xbox 360, PS3 and Windows PC. 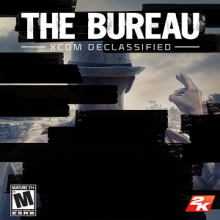 For more information on The Bureau: XCOM Declassified, subscribe on YouTube, become a fan on Facebook, follow 2K on Twitter and visit the official web site at http://erasethetruth.com. To watch a live action video series based on The Bureau, visit the official YouTube playlist. 2K Marin is a 2K studio. 2K is a publishing label of Take-Two Interactive Software, Inc. (NASDAQ: TTWO). The year is 1962, JFK is President and the Cold War has the nation gripped by fear – but a far more powerful and insidious enemy than communism is threatening America. Known only to a select few, a top-secret government unit called The Bureau begins investigating and concealing a series of mysterious attacks by an otherworldly enemy. As special agent William Carter, players call the shots, pull the trigger and lead their squad in a gripping third-person tactical shooter set within a high-stakes, covert war to protect humanity. The Bureau has been erasing the truth for decades. The time has come for the truth to be revealed.